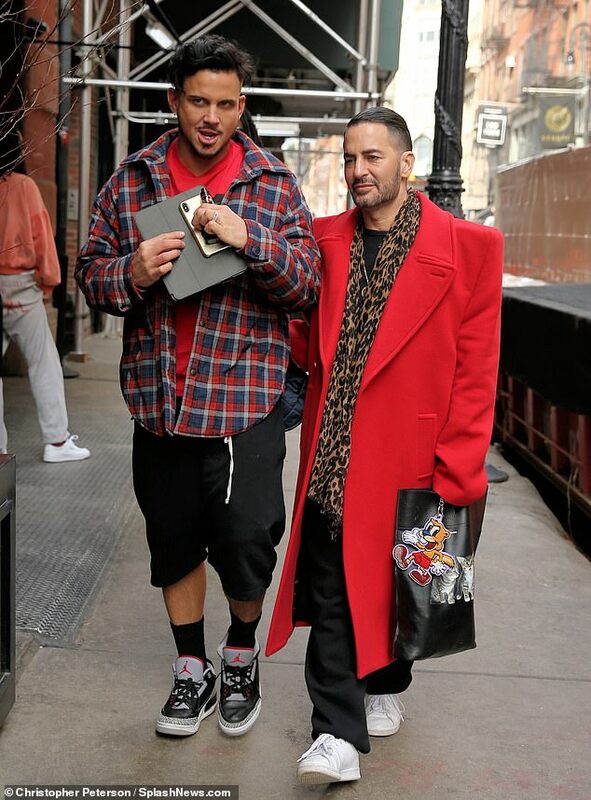 On Sunday, honeymooners Marc Jacobs and Char Defrancesco coordinated in coral the morning after their lavish, star-studded nuptials in Manhattan. The New York fashion designer – turning 56 this Tuesday – dressed his 5ft9in frame in a chic coral coat with massive shoulder pads and a trendy leopard-print scarf. 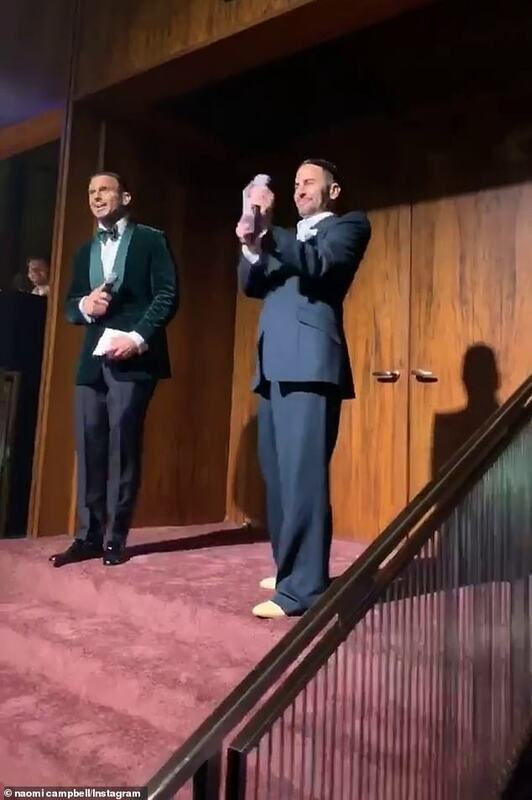 The Swiss-born, Italian 38-year-old showed off his sparkly wedding band in a coral T-shirt beneath a plaid button-up, black shorts, and Air Jordans. 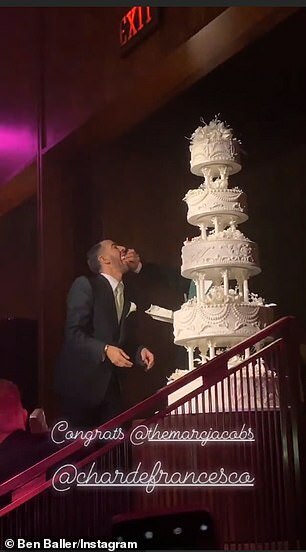 Jacobs and the model-turned-candlemaker just tied the knot in a private ceremony after four years of dating. 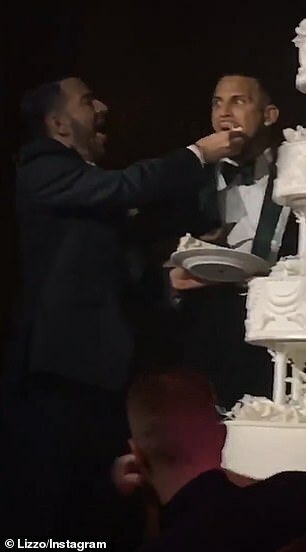 The grooms then celebrated with a five-tier cake at the Grill & the Pool inside The Seagram Building in midtown Manhattan. It was a year after Marc and Char originally got engaged via flashmob in a Chipotle to Prince’s 1986 hit song Kiss. 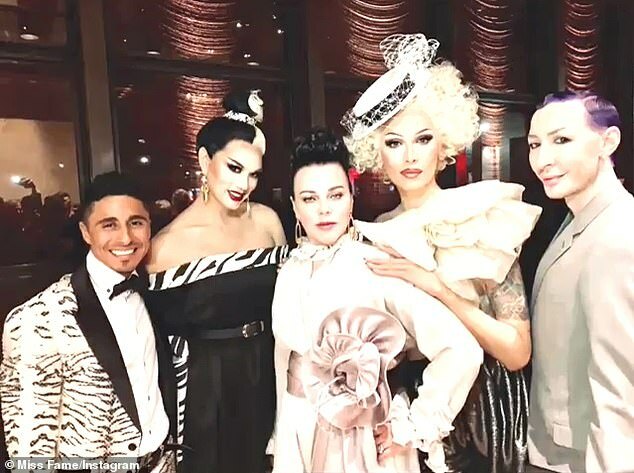 The RuPaul’s Drag Race All Stars guest judge drew the likes of All-Star Manila Luzon, his husband Michael Alvarezas, season seven’s Miss Fame, season five’s Detox, as well as Younger actress Debi Mazar. There were iconic singers such as the Divine Miss Bette Midler and Blondie frontwoman Debbie Harry in attendance. IMG Model sisters Bella and Gigi Hadid turned up, hand-in-hand, to the ceremony rocking black and green pantsuits. It made sense that the tastemaker who helped create ‘heroin chic’ made sure to invite iconic nineties supermodels Kate Moss and Naomi Campbell. 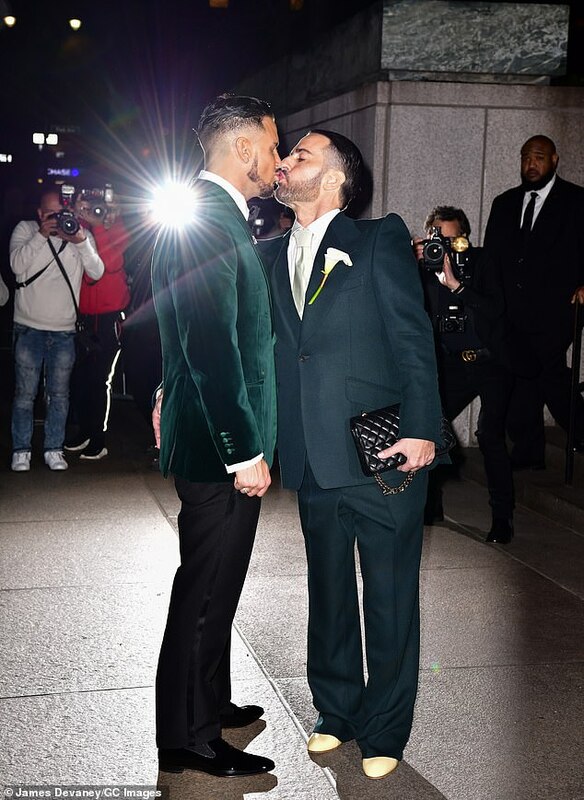 Jacob and Defrancesco also invited rapper Lil’ Kim, Anna Wintour, Anna Sui, Mýa, Frank Ocean, Rita Ora, Christina Ricci, Chloë Sevigny, Luka Sabbat, Justin Theroux, Christy Turlington, Kaia Gerber, and Emily Ratajkowski. The love fest was a welcome distraction for Marc, who’s being sued for copyright infringement by the estate of the band Nirvana. 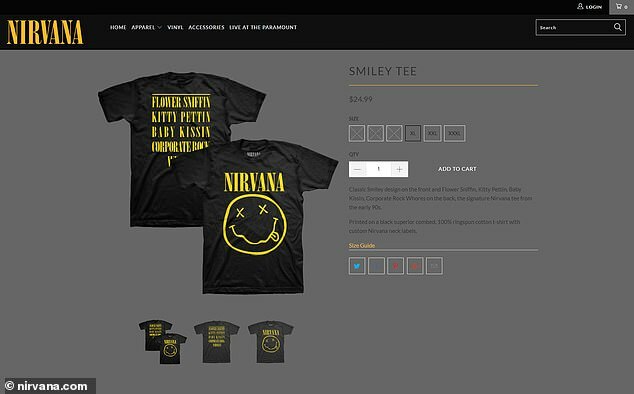 Nirvana L.L.C. 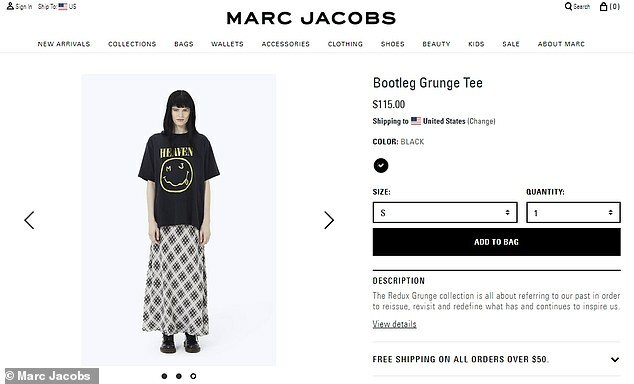 accused the Parsons School of Design alum of copying their 1993 $24.99 ‘Smiley Tee’ to create his $115 ‘Bootleg Grunge Tee’ from the Redux Grunge collection.